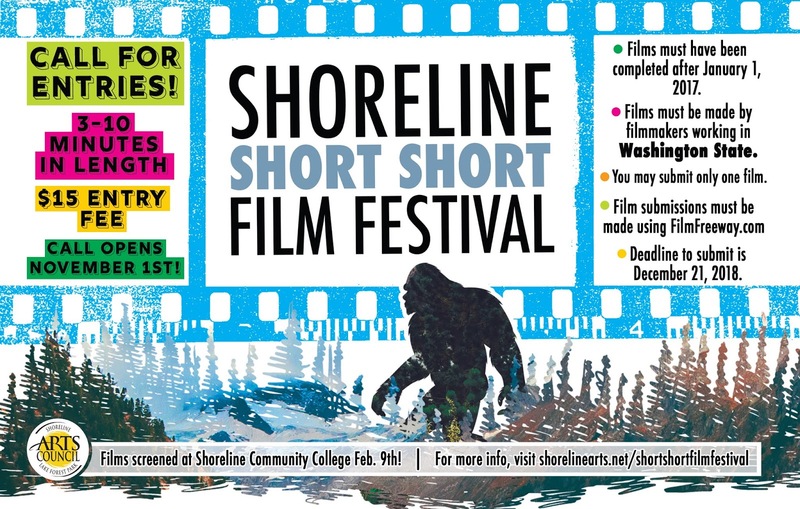 The Shoreline-Lake Forest Park Arts Council is currently accepting submissions for the 2018 Shoreline Short Short Film Festival, now in its third year. This festival aims to support emerging and developing filmmakers in Washington State and encourage appreciation for the art of filmmaking in our community. There is a small fee to submit entries this year. $15 standard fee for all categories except in the Student category. The Student Category fee is $5. Thank you!